How much is a point in InterContinental’s Priority Club Rewards program worth? It depends, of course, on what it’s redeemed for. The lower the price of a free-night award, for example, the higher the value of the program points redeemed for that night. 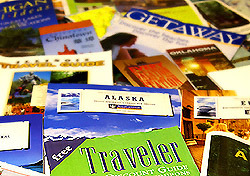 The current list of PointBreaks hotels includes about 100 hotels where program members may take discounted award stays through January 31, 2010. Sixty of the participating hotels are in the U.S., eight are in Canada, two are in South America, 18 are in Europe, and so on. Let’s put the discount into some perspective. There’s currently a promotion offering Priority Club members 15,000 bonus points for signing up for DirecTV satellite service. Ding, ding, ding—that’s three free PointBreaks nights. Or sign up for the Priority Club Visa card to earn 30,000 points, worth six free nights. In fact, at PointBreaks prices, it actually makes financial sense to buy Priority Club points. The annual maximum of 40,000 points can be purchased for $460. That translates into eight free nights, at $57.50 per night. Priority Club’s PointBreaks are comparable to airline award sales, where slow-selling flights are selectively made available for fewer frequent flyer miles. Sure, there’s probably a reason the featured flights or hotels are distressed. But while a free night at the Staybridge Suites in Centennial, Colorado, may not have the sizzle of a night in a beachfront cabana, it could be just what you need. In which case, the PointsBreaks rate represents solid value. It should be noted, with some concern, that the number of hotels represented in this latest round of PointBreaks discounts is down considerably from the number previously participating, which was around 160 hotels. As travelers are well aware, hotel occupancy rates are low. And that should translate into more, not fewer, PointBreaks opportunities.